During the council meeting, Mayor Dawn Zimmer awarded Mario Patruno with a mayoral proclamation for being recognized as inspector of the year by the state of New Jersey. The council met on Wednesday April 5 in a three hour meeting to discuss new ordinances and resolutions including the Post Office Redevelopment Plan. 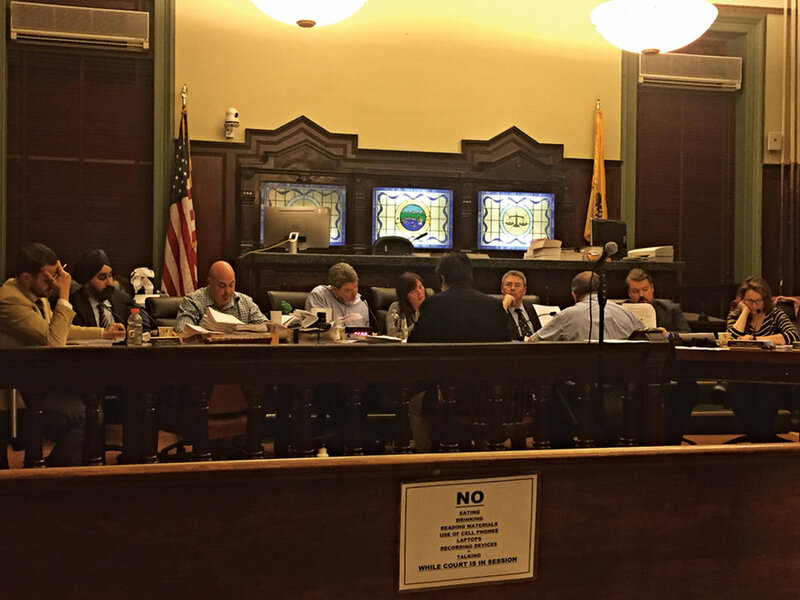 A redevelopment plan for the Hoboken Post Office property on lower River Street was introduced by the Hoboken City Council on Wednesday and will now go to the Planning Board for recommendations before returning for another council vote. The plan specifies how a developer would construct a hotel on the parking lot behind the U.S. Post Office at 89 River St., while preserving the post office as a landmark, and allowing it to keep operating. It would also require the redesign and reconstruction of Newark Street with wide sidewalks and streetscape features to improve access to the waterfront, and would allow more activity on the block of Sinatra Drive between Newark Street and First Street. It is estimated that the plan would create more than 100 permanent jobs and generate over $1 million annually in real estate taxes in addition to hotel taxes on a site currently exempt from taxes. The plan is the “first significant step on the hotel project moving forward,” said Councilman Michael DeFusco. “In working with the subcommittee, members of the council, and myself, we have concerns and we have worked through them and this is the first step in getting the planning board’s recommendations,” said DeFusco. The vote to introduce the ordinance was unanimous. But Bhalla voted for it because he believes a hotel is needed in that area, which already has one other – a W.
Councilman Jim Doyle said he was fine with the hotel taxes, jobs, and adding activity to the area, but said no one has been able to persuade him why a boutique hotel of a smaller size wouldn’t be viable. “It’s the size of the building, not the use I have trouble with,” he said. Currently the proposed hotel would be 24 stories high. According to the plan, the United States Postal Service has executed a purchase agreement with KMS Development Partners LLC and proposes to sell KMS the 0.4 acre portion of their federally owned land for development of a hotel. USPS has contracted the developers to make modifications to the existing USPS building through various upgrades. KMS has proposed that Hilton will run the hotel. John Jahr from Petry Traffic LLC proposed several improvements to ease traffic flow and circulation in the chronically gridlocked southwest part of the city. His plan will add three new traffic lights: at Observer Highway and Harrison Street, Observer Highway and Jackson Street, and Observer Highway and Madison Street. The plan also includes a right turn lane from Newark onto Madison Street, a left turn lane onto Observer Highway, and a through lane onto Madison. Jackson Street would have two travel lanes instead of the existing single lane. Harrison Street will have a right turn lane onto Newark Street, and on Observer Highway from the Light Rail Bike Trail to Harrison Street there will be a new bike lane. “We want to prohibit left turns permanently from Harrison onto Newark and people should learn quickly to turn onto Observer,” said Jahr. The plan also proposes four total travel lanes on Jersey Avenue instead of two. One of the biggest changes proposed is converting Paterson Avenue to one-way from Monroe Street to Harrison Street with two travel lanes moving westbound. Currently there is one lane in each direction. The reconfiguration of streets will increase parking in the area by two spaces. Several council members expressed concerns with the plan. Bhalla said people visiting Hoboken who turn left from Observer Highway onto Harrison Street will have to exit Hoboken into Jersey City because there is no left turn lane in the plans to allow them to turn onto Newark Street. Councilwoman Tiffanie Fisher said she is skeptical of traffic bump outs and wanted to know specifically where they were. Jahr responded, “We believe we have created that balance,” and explained the bump outs would primarily be around the park to make it safer for pedestrians with some additional painted bump outs at certain intersections. Fisher said she and other residents who live in northern Hoboken often enter at southern Hoboken, turn onto Paterson, and use it as a throughway to get to the 14th Street Viaduct and their homes on the northern end. Several of the council members wanted to know what the “ripple effect” would be on other streets like First and Second if this plan was implemented. Jahr said he was in the process of adding that to his model but he did not have that information at the meeting. Councilman Ruben Ramos asked if the yellow striped section on Newark Street between Jackson Street and Monroe Street could become a lane, because people already use it as one. Jahr said that would create an unsafe condition and suggested filling the area in with a concrete island. Russo said that idea was not going to work because it could hinder evacuation services or ambulances that need to get in and out of town. According to Jahr, the changes proposed to Patterson Avenue and Observer Highway intersections will need to be approved by the county because they are county roads. The city approved a $165,000 contract to Petry Traffic LLC for professional services for the new traffic signal systems. Marilyn Baer can be reached at marilynb@hudsonreporter.com. The City Council unanimously approved a resolution recognizing April as National Autism Awareness Month. 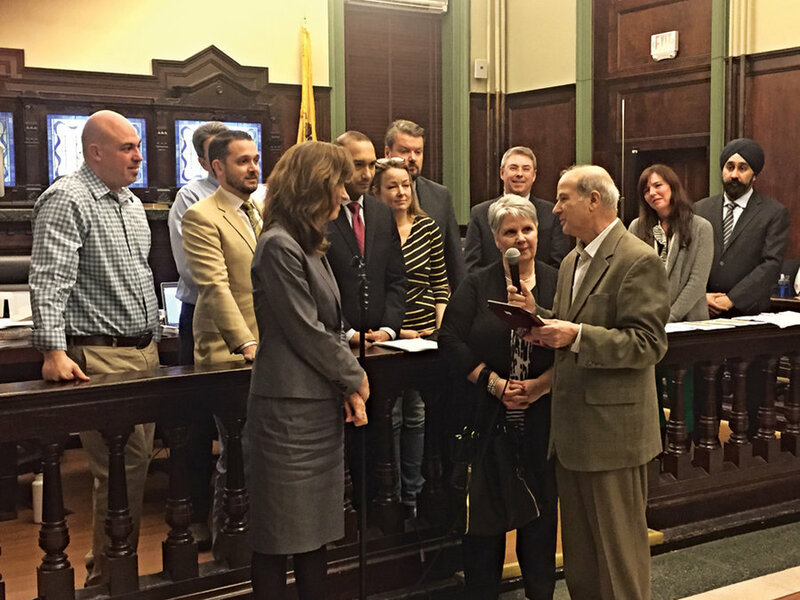 Members of the public thanked the council for their recognition, including Hoboken Board of Education Trustee Sheillah Dallara, resident Mark Mautone, and Megan Yavoich of the Hoboken Special Needs Parents Group. “I’m here as a mom of a special needs child and I am really thankful for this being on the agenda tonight,” said Dallara. “This shows our city is inclusive, this city is aware, and this city is accepting and that we do have families here that are affected by autism,” said Dallara. He said he believes this is one way the city is saying it. Yavoich and Dallara run the HSNPG, which is an inclusive playgroup and support group for all residents, not just those with special needs. 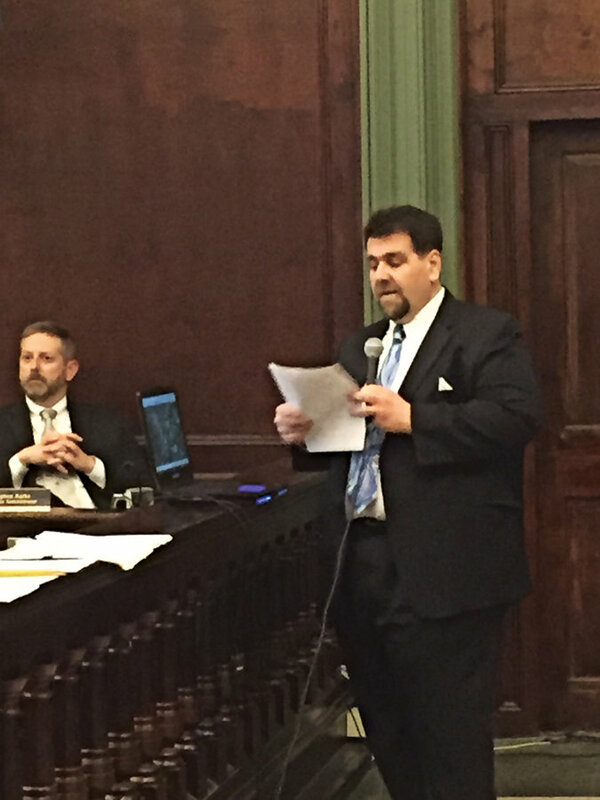 Hoboken resident and former councilman Tony Soares complained about what he called “intimidation” from the mayor’s office, during the public portion of the council meeting last week. The two-page letter, dated Jan. 30, 2017 and obtained by The Reporter, updates the residents on the southwest redevelopment zone. In June of 2012, this section of Hoboken was designated an Area in Need of Rehabilitation, beginning the redevelopment planning process. This means the city can hire consultants to develop a plan to which prospective developers will adhere. 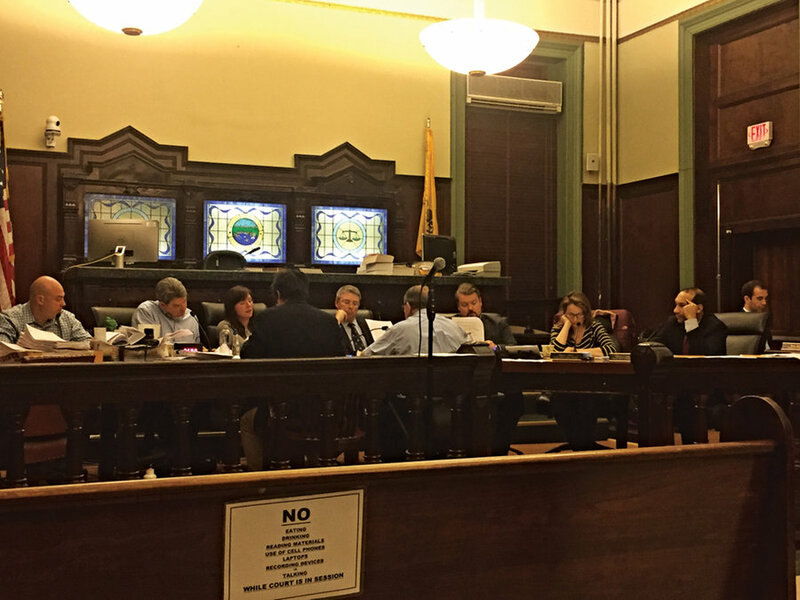 The Hoboken “pay to play” ordinance, among other things, limits how much developers in redevelopment zones can contribute financially to election campaigns for local government offices. That’s because the officials, if elected, will be responsible for deciding terms of redevelopment agreements. However, since those laws are directed at contractors and developers, it didn’t make sense to target the letter to regular residents, Soares said, calling the letter “disturbing” and potentially intimidating. He said it could give the impression that residents can’t donate to candidates. This is a municipal election year, with Zimmer and three council members up for re-election. According to Mayor Zimmer, the letter was sent to ensure that residents knew of the ordinance. She said the city’s ordinances about redevelopers are stricter than state laws and many other towns. Zimmer has said in past campaigns that she wouldn’t take contributions from developers, so she may have nothing to lose by warning others about developer donation limits.